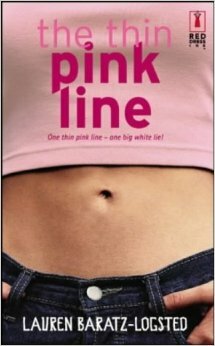 I read an interesting article today by a foreign journalist for Mumbrella, entitled “The thin pink line: Singapore’s curious rules for covering ‘alternative lifestyles’“. In this article the journalist Robin Hicks writes about the difficulty of getting clear guidelines on what magazines and newspapers are allowed to publish about “alternative lifestyles” or even finding out which Singaporean Ministry is responsible for said guidelines. Hence the “Thin Pink Line” of the title. I must say straight away that Hicks appears to believe that this peculiar situation of curious rules is specific to LGBT subjects. Maybe he reasons that because of 377A the coverage of gay events has to be deliberately ill defined. Sorry, it’s not because they’re Gay. His experiences in seeking clarification on covering Pink Dot applies to all of us on any subject. “It is more frustrating that print publishers do not really know where they stand when reporting on gay issues, and there is a sense that the MDA is happy to keep things vague. One publisher that asked the MDA about reporting on Pink Dot this week was told that it was a matter for the Ministry of Home Affairs, as this ministry is responsible for events. But the MHA referred the magazine back to the MDA. Yes, Mr. Hicks, welcome to our world! The end result is the creation of a climate in which Singaporeans avidly practice self-censorship or accept that there are “no go” areas. So for example when it comes to the Budget and the level of reserves they no longer believe that they even have the right to ask questions or they are simply too afraid. This fear is well-founded. Like the Nazis in war movies the PAP from time to time take out a villager and shoot him in front of everyone else as an example. (metaphorically, of course). In fact the Court of Appeal ruled in 1992 in the case of Jeyaretnam Joshua Benjamin v Lee Kuan Yew  2 SLR 310;  SGCA 27 (see here) that merely asking questions could be defamatory. When it comes to getting hard data, the pass-the-parcel game between MHA and MDA that Hicks complains of also completely mirrored my experience when trying to get some answers on the IMF loan. That time responsibility for Singapore’s $5 billion loan commitment to the IMF was passed from the Government to the MAS to evade Parliamentary accountability. I wrote a series of letters to the Finance Minister over both the lack of transparency in the Budget and the failure to stick to the IMF framework and over the Government’s $5 billion loan commitment to the IMF. I did not receive any reply to either my first letter or the follow-up from the Finance Minister. I then wrote to the President. 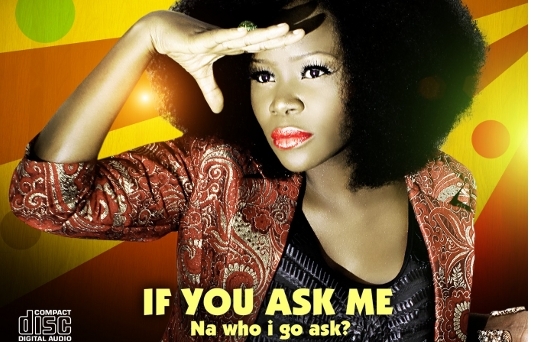 who after two letters bounced me back to the MAS. I then received an email from MAS arrowing me to the FAQ section of the MAS website which nonsensically was flying in the face of financial orthodoxy and standard accounting practice. The ambiguity in the media rules is reflected in the lack of transparency in the way the Government operates. Not only does the Budget not conform to the IMF framework but the Finance Minister deliberately avoids giving us any information about the Government’s Statement of Assets and Liabilities which is published every year with the Budget. We are left in the dark as to what Government entities are included and why some funds are shown and not others. Nor do we know what the real Government surplus is, though it is likely to be upwards of $25 billion per year. By now we all know what happens should you try to attend a forum on your CPF monies and ask Hri Kumar a question about the figures he is presenting. No doubt that gentleman’s rank in the army was Major Dodge! “Vague rules and tough consequences“, as journalist Robin Hicks put it, are exactly what the PAP wants because it makes Singaporeans work on the assumption that everything is forbidden unless expressly permitted. There also seems to be some discretion over who to make an example of. For instance the Prime Minister chose to sue Roy Ngerng but not others just as the AG has prosecuted Amos for something that countless others including Lee Kuan Yew got away with. It also allows the Government to do whatever it wants without Parliamentary scrutiny and then justify its actions if it is called to account. But such an arbitrary exercise of discretion undermines any claim that we have Rule of Law. 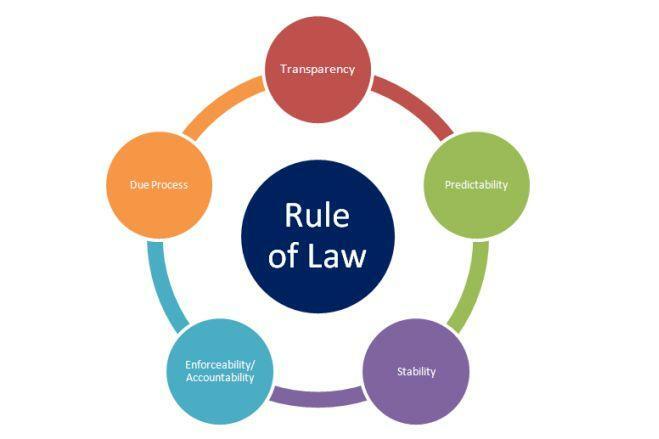 For the benefit if Singaporeans who haven’t experienced it in living memory, here’s a handy diagram to remind you what Rule of Law should look like. The only part of this diagram that we can rely on is predictability. The consequences of asking questions about the use of tax payer monies or criticising the Lee’s, either father or son, are entirely predictable. I agree with all you’ve said. I wish you will run for General Elections 2016 – but please get better people to run with you! People who can’t speak English well and who aren’t educated are off putting. Please try and get better people – or join another opposition party – whatever – we need your voice in parliament. So why not try to get there in whatever way you can. You think like most of us suffering Singaporeans do – the laws are not clear, and we don’t know what’s allowed and what’s not! !